Beltane is the time to celebrate and supercharge growth in the earth, in our relationships and most importantly within ourselves. This Beltane we will be invoking the energies of the spheres of Hod and Netzach from the Tree of Life to focus and bring the energy of our bodies into balance with the energy of our souls. 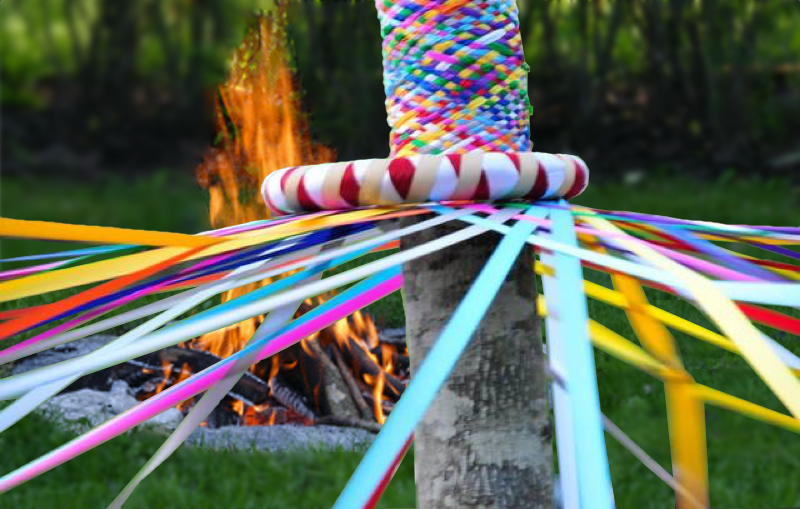 We will braid ribbons through a pathworking to bring the left and right feet of the Sepiroth, our inner and outer selves, into sync with each other and usher in a new season of personal growth. Then we will take our ribbons out to the Maypole to bind them into this reality. Most of all, bring yourself and your intentions for unity within yourself. If you need directions to Faerewood, please contact us. MD 543 and Creswell Rd.